The volunteer Board and Staff of the Brain Injury Hope Foundation (BIHF), a Colorado nonprofit 501(c)3 formally known as the Brain Trust, provides resources and education about the life-changing symptoms of head injuries and what to do to get better. The BIHF is one of a kind with its Emergency Financial Funds to help pay for living expenses for Mild to Moderate Traumatic Brain Injury (MTBI) survivors in Colorado. To request an application for emergency funding, please go to Contact Us. A new program recently added, Survivor Series, is for brain injury survivors, their families, caregivers and medical professionals. To learn about this remarkable service, which provides a sense of belonging, a sense of community, a meal and training, please click Survivor Series. An MTBI is defined as a blow or jarring of the head. This type of brain injury can be caused by a fall, whiplash, sports or vehicle accidents, or a blast wave injury. Contrary to popular belief, you do not need to hit your head or lose consciousness to sustain a brain injury. If you suffer more than one concussive injury over time, the effects accumulate and even a small impact to the head, may manifest as more serious cognitive, emotional and/or physical symptoms, disabling for months or even years. 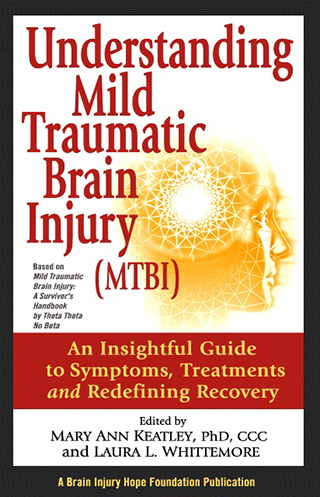 Please note, there is nothing mild about MTBI, which is often unidentified and misunderstood. For the official definition from the Center for Disease Control and Prevention (CDC), please click here. What are the Symptoms of MTBI? Neurological examinations and brain imaging studies, such as MRI and CT Scans, may be normal even if you have sustained a brain injury. Concussion, also known as MTBI, usually has a number of signs that may not be immediately apparent. Each MTBI is unique and individuals may experience symptoms, such as nausea, dizziness, headache, memory issues, vomiting, sleep disturbance, blurred vision, sensitivity to light and sound, brain fog, slowed reaction time, etc. Emotionally, they may feel a shaken sense of self and out of control. Very often, there is an overlap of symptoms of TBI and Post Traumatic Stress Disorder (PTSD). To learn how to detect and know what you can do to recover fromMTBI, please click on Books. The Brain Injury Hope Foundation (BIHF) is a small foundation with big ideas. The BIHF is funded by donations/grants from individuals, organizations and fundraisers. Your donation gives double benefits by educating MTBI survivors in Colorado through the Survivor Series program and contributes to the Emergency Financial Funds to assist MTBI survivors with living expenses, such as rent, utilities and food. This is considered a “hand up” not a “hand out” to help survivors stay in their homes during recovery. Make a difference today with your Donation. Agnes Marshall Walker Foundation The Agnes Marshall Walker Foundation (AMWF) is proud to announce the Brain Injury Hope Foundation as the recipient of its 2019 local charity donation. AMWF selected the BIHF because of its mission and efforts to help mild to moderate TBI survivors. This March more than 900 nurses will gather in Denver, CO to continue their education at the American Association of Neuroscience Nurses(AANN) Annual Meeting. Each year, AMWF holds a fundraising event at the Annual Meeting and selects a local charity to donate the funds. The AMWF is dedicated to supporting neuroscience nursing through education, research, professional development, and certification to promote excellence in patient care. We are pleased to be honored by this wonderful organization. For more information on the AMWF, please visit http://amwf.org. This clearly written guide is for those who have sustained a head injury, concussion or MTBI. Learn about the common symptoms that show up in daily life and how Post Traumatic Stress Disorder (PTSD) and MTBI overlap. Since MTBI is often unidentified and misunderstood, this book is an essential reference for athletic coaches, teachers, parents and medical practitioners. 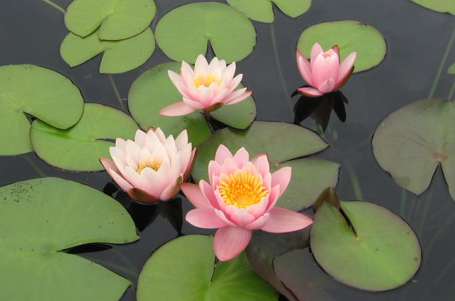 Read about the recommended Treatment Options with a new approach to recovery. — James M. Schear, Ph.D.